I finally got my Christmas act together over the past few days and decided to do gingerbread three ways. It seemed appropriate since there was an ancient carton of molasses hiding in my pantry that was begging to be used. Lacking an actual gingerbread man cookie cutter, I instead decided to use my alphabet cutters to spread some edible peace and joy. 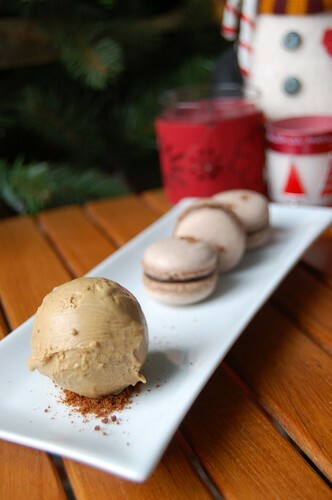 Then, in reaction to my recent Costco macaron encounter, chocolate gingerbread macarons were created. I wanted them to taste identical to gingerbread but with the exact opposite texture, soft and rich. 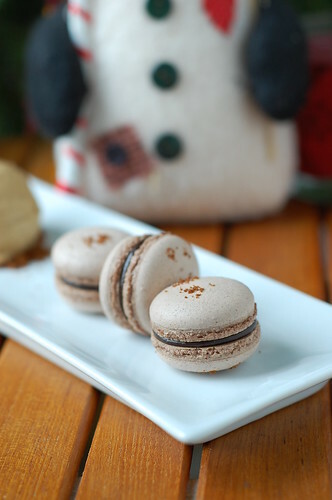 This was achieved by halving the amount of cocoa powder I usually use in my chocolate macaron recipe and adding powdered ginger, cinnamon, clove, and nutmeg along with a sprinkle of gingerbread crumbs. For extra punch, the ganache included molasses and the same four spices. Having leftover yolks and cream always makes me think of ice cream, even in winter, and so gingerbread-spiced caramel ice cream was born. Although the ice cream is just for us to enjoy, the rest will be given away to the usual suspects. You know who you are. 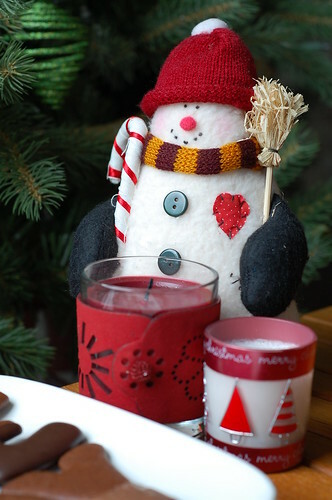 Have a happy and healthy holiday season everyone! Posted by Charmaine at 5:11 p.m. Absolutely gorgeous post Charmaine. Saw this over at FoodGawker...and just GAWKED! Very very pretty! Love the festive macs. Perfect! December 24, 2009 at 2:06 a.m. Wonderful! Peace and joy to you and yours. December 24, 2009 at 6:00 a.m.